Christmas Clearance up to 75% off! Pre-lit 7.5′ Tree $250 off! One of my number one tips for people trying to save money is to buy things when they are out of season to use for the next season. If you follow me on Instagram, you’ll remember I bought a gorgeous 9 foot pre-lit Christmas tree just after Christmas along with a lot of ornaments and decorations for next year and I saved A TON (hundreds of dollars). I found a KILLER clearance Christmas sale for you today so you can stock up for next year and save hundreds of dollars too! 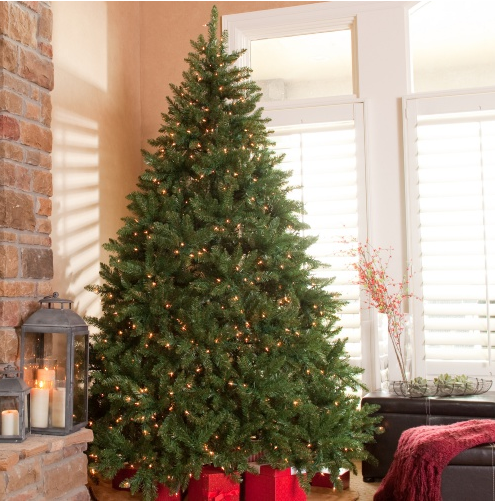 This Classic Pine Full Pre-lit Christmas Tree 7.5′ is on sale for $149.97, originally $399.99. That’s a SAVINGS of $250.05!!! There is also a 6.5′ tree for $99.97. 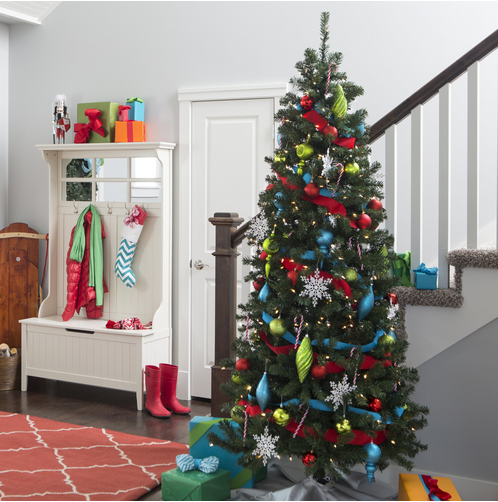 This Classic 7.5 ft. pre-lit Christmas tree is only $89.97, originally $249.99!!! I’m sorry for all of the exclamation points but I can’t emphasize enough how INCREDIBLE this deal is! If you’ve been wanting a nice pre-lit tree, this is it! These babies are normally really expensive!! I’ve decided that I will never buy trees that are not pre-lit again because I honestly hate stringing up the lights and it hurts my hands being poked by all the branches. I’ll spare myself the pain! Oh, and did I mention that all Christmas trees ship free? Cherry on top. Also, do you know how expensive wreaths normally are? 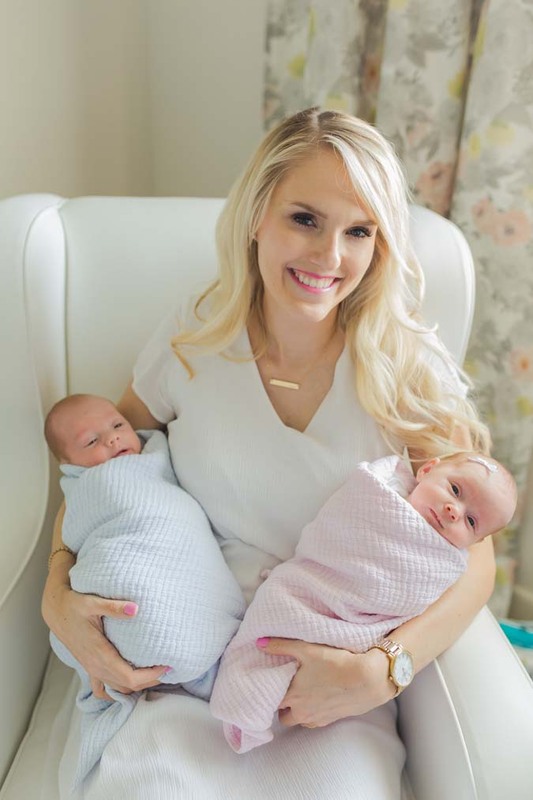 I couldn’t believe it when I started shopping for them at Hobby Lobby a few years ago to decorate my home with. Most of them are over $150! 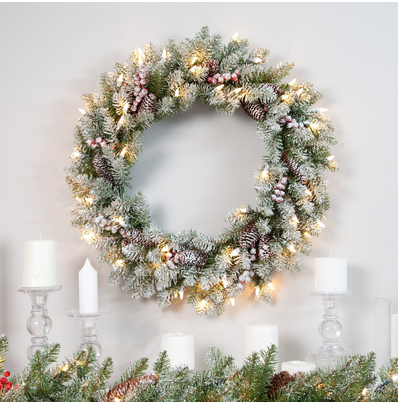 This sale includes some beautiful pre-lit wreaths! Previous Post: « Curtains only $10.20!